By Jason Deadrich, Fordela Corporation. How communication and messages are being delivered has changed drastically over the past several years. With the advent of cloud computing and storage, media delivered digitally over the internet by businesses and organisations is exploding. Whether it is storytelling, music, content sharing or private business communications, the technology to distribute video is shifting at lightning speed. Now, the online media space appears to be poised for yet another boom. Content is making a transition from a standard 2D video experience to a fully immersed 3D experience; and the supporting technology for the management and delivery of high-quality 3D video to connected devices is here now. Technology for the management and delivery of high-quality 3D video to connected devices already exists. Q: Is there enough high-quality 3D content available to propel a technology boom? Q: Is the available technology advanced enough to create a compelling 3D experience? A: Yes. With game-changing films such as Avatar, the waters have been successfully tested. It has been demonstrated how a rich 3D experience can enhance storytelling and drive huge box-office sales. 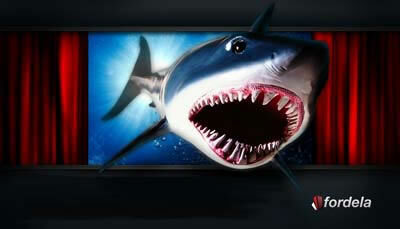 Q: Who can afford the proper 3D equipment in an embattled economic climate when HD just became mainstream? A: Like any technology, with maturation comes a drop in price point. While top-of-the-line 3D video cameras are readily available, so are inexpensive devices at your local retailer. Even smart phones and tablets are becoming 3D enabled, with the ability to shoot and view 3D video. Major hardware manufacturers have already delivered mainstream technology to the market at low price points, breaking the barriers to entry. Q: Who is releasing 3D content to the masses if there isn’t enough wide adoption? A: With major movie studios releasing several films in 3D each year, the market is ripe to support an influx of new 3D content. The 3D-enabled technology seeds have been planted for a 3D transition. 3DTVs and Blu-ray players are readily available and while the hardware innovation continues, there is also a massive opportunity to deliver 3D content to the online world. With the emergence of new content distribution and consumption channels including web-based platforms, 3D video and audio has found a new point of distribution; and it’s not only about full-length feature films any more. There is a new business opportunity for 3D video and it comes from the cloud. Due to the increasingly lower barriers to entry, estimating how much 3D video is going to be created is next to impossible. Businesses and individuals have quickly become 3D video creators, resulting in a dramatic increase in volume. Whether at a departmental level for internal use or a major movie studio reviewing dailies and screening trailers, content producers and distributors come in all sizes and their business requirements can vary greatly. The volume of 3D content is increasing dramatically. While some content creators are still struggling with how to create revenue paths from online video (advertising, VOD, etc), it’s clear that online video is exploding, regardless of format. So, how do you make a business from this untethered 3D arena? We know that through the latest technological advances in video distribution, there is a rush of opportunity for content creators and distributors to have various monetisation options and to add a mix of effective online-targeted sales opportunities. Unleashing the value of video content (2D or 3D) has been especially clear as some of our clients have taken advantage of this ‘multi-path’ approach for online video distribution and monetisation. 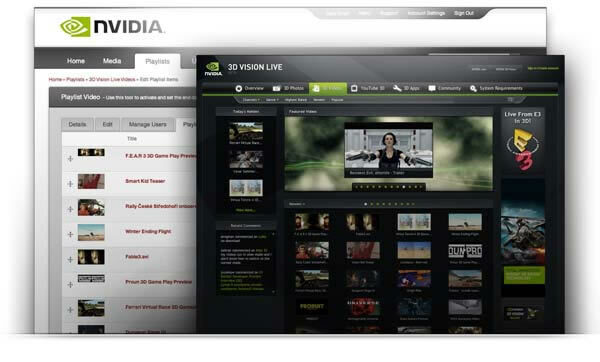 The NVIDIA 3D Vision community portal is an example of how online video is exploding. 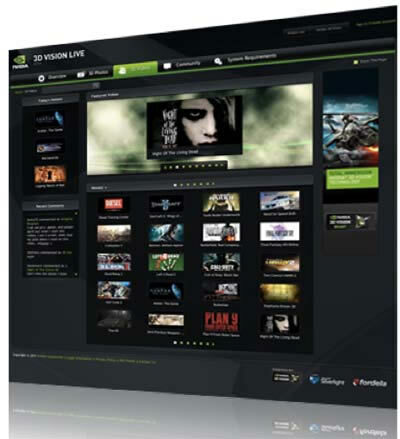 The first step is understanding why the transition of 3D video content to an access anywhere, high-quality digital library in the cloud is fundamentally imperative for potential buyers who need to access content in the most convenient way possible, here and now (check out NVIDIA’s 3D Vision community portal at www.3DVisionLive.com). There is also an enormous opportunity to build on customer loyalty by adding monetisation to video management. Our clients are also addressing thecompetitive landscape by including on-demand resources for purchasing or subscribing to available content, as well as private label relationships for expanded product offerings. The revenue streams are wide open. There is a distinct advantage to providing global distribution (streaming, progressive download, direct download, subscription and VOD) of video content for purchase to any internet-connected device. By providing automated content through the cloud, you’ll also be taking advantage of the easiest model available for scalability while expanding viewership. Automated content through the cloud is the easiest model for scalability while expanding viewership. • Cloud-based video upload, ingestion, transcoding and storing. • Cloud-based 3D frame packing and management. • Bandwidth detection and adaptive bit-rate streaming. • Custom CMS and web portal support. • Video on demand and eCommerce functionality. Today’s technology should be fully integrated. There is no excuse for expensive additional hardware or software requirements or IT constraints. 3D video should be directly integrated with an existing content management system or the solution provider should be able to deploy a portal to easily manage any number of websites, mobile optimised, and client-side apps all managed from one single integrated platform. Clients have the ability to operate and manage their online video business from an agile 100% cloud-based 3D video management and distribution platform. 3D video can easily now be incorporated into overall business initiatives. Using new tools to streamline workflows, define monetisation and revenue paths, clients can be in a position to improve market outreach and to extend product offerings. The time for delivery of professional 3D video to any connected device is now. Jason Deadrich is the CEO and Founder of Fordela Corporation. Founded by LucasArts veterans, Fordela Corporation provides a cloud-based media management platform that enables organisations to efficiently control, distribute and monetise professional 3D video.